Leuke opname van dit nogstalgisch blikje. @louannwarren @overalvandaan @pyrrhula @shannejw @radiogirl @777margo Thank you all for your nice comments and fav, I still use the tin for tea although not for the original flavour. Beautiful can. My son has a big assortment of teas - I don't think he has like this. I love old tins and this would look so good in my collection. @momamo Dank je Monique, ben erg benieuwd naar je glazen. @sangwann @kgolab @onewing Thank you all so much for your nice comments, they are much appreciated! Vintage tins have so much character. This is a beauty - great for the orange day too. 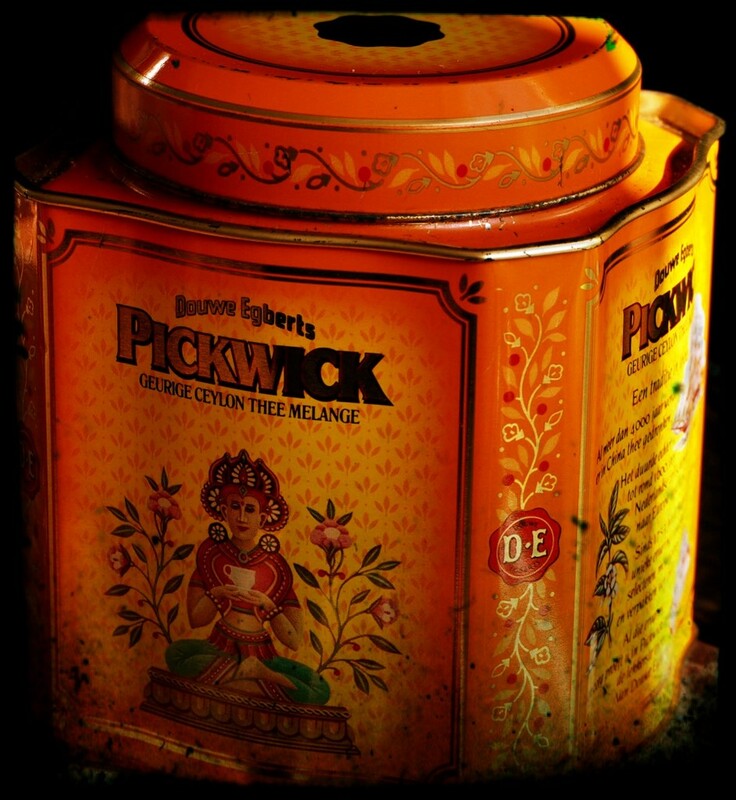 @robz Thanks Rob, I have this tin at least twenty years, it is much nicer to refill this one than use plastic containers. @gardenfolk I thought so too, thanks CC!